The ELIVE™ CO2 Laser System is designed to allow for minimally invasive procedures, enabling cardiac specialists to operate with less injury to the body than with open surgery. Minimally invasive surgery can be done on an outpatient basis or requires only a short hospital stay. This feature means shorter procedures, lower incidence of MACE, shorter recovery times and better outcomes, leading to lower costs for treating heart failure than current therapies in addition to significant improvements in patient quality of life. The ELIVE™ laser therapy is versatile and can be applied in the cath lab on the beating heart. In addition to being effective in improving cardiac function, ELIVE™ laser therapy is also less expensive compared to other forms of therapy in heart failure patients. Reimbursement is available in most major cardiac markets under existing DRG and/or other local codes. 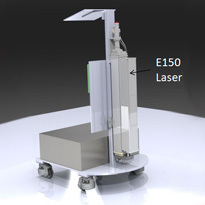 Because of the small footprint of the ELIVE™ CO2 Laser System, it can be used in virtually every modern cath lab or HYBRID Operating Room. 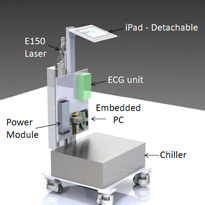 The ELIVE™ CO2 Laser is developed (OEM) in collaboration with a qualified medical laser manufacturer in Ireland. 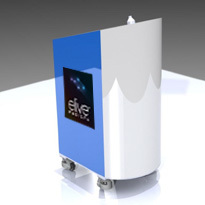 A significant source of revenue and profit for ELIVE Medical will come from the design and development of the disposable portion of the ELIVE™ CO2 Laser System which is used for each ELIVE™ procedure. ELIVE Medical has established a consulting relationship with Laser Engineering, Inc. (LEI), Medford, MA USA. LEI’s founder, Dr. Robert Rudko, a prominent laser physicist, previously founded PLC Medical Systems, Inc., and developed the original CO2 Heart Laser used for the Transmyocardial Laser Revascularization (TMLR) procedure. Dr. Rudko is an acknowledged expert in CO2 laser design, development and manufacture. Laser Engineering develops the hollow fiber wave guide to ELIVE Medical under an exclusive purchase agreement. ELIVE Medical has designed a unique catheter delivery system with a prominent catheter manufacturer that will offer additional IP portfolio opportunities.